Up early this morning to photograph this finished cardigan and to get sorted out before I pick up the little boys for the weekend. Not much time to do anything else but play and decide what if anything they will eat!! So here is the finished cardigan from WIP Wednesday's post. I am really pleased with how this has turned out and should be a useful addition to Miss J's wardrobe. Have a great weekend, and if you are in the UK stay dry!! This might be my favorite piece you've knitted. I just love it, so colorful and the pattern is charming too. Look forward to seeing it on the model. Lovely! Adorable!! I need that pattern. Off to track it down. 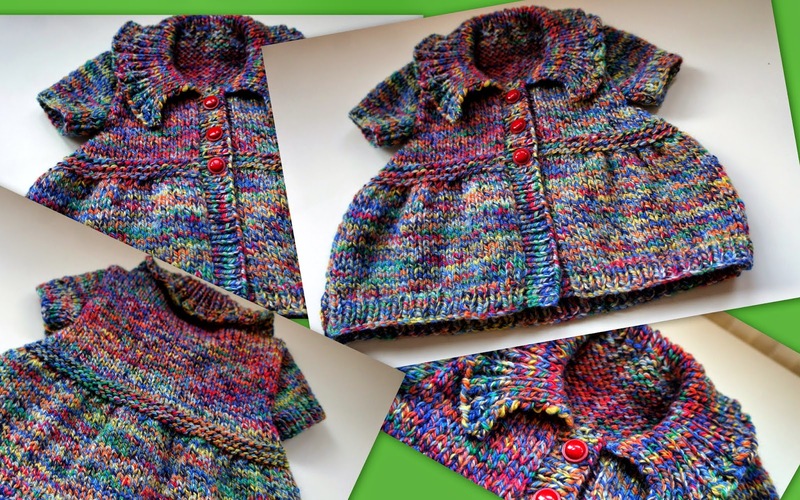 With 2 little great-nieces to knit for, I see this getting lots of makes.